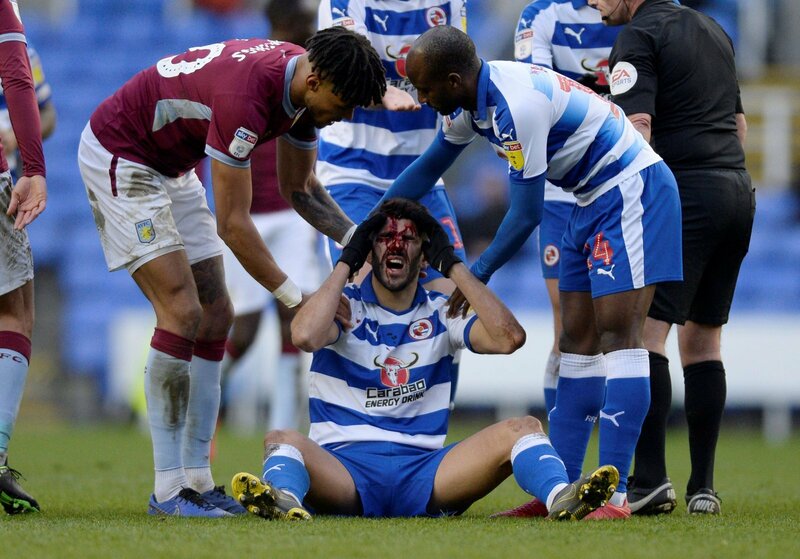 The incident involving Reading’s Nelson Oliveira and Aston Villa’s Tyrone Mings has been the hot topic in the media recently, especially the outcome. Oliveira appeared to have his head stamped on by Mings and suffered a number of serious looking cuts to his head, including a broken nose in four places which is causing him breathing difficulties. But the FA aren’t expected to even investigate the incident, with the referee apparently seeing the stamp, which means that it can’t be looked into further. In an interview with the Reading Chronicle, Oliveira has raised questions to the FA as to whether it wouldn’t have been looked into if it was in the Premier League. “If the same thing happened to Harry Kane what would happen? How would the FA look at it when his career could have been over? Mings has been the subject of a previous similar incident and Oliveira insists that the defender could have avoided stamping on his head. “I’m not saying he (Mings) did it on purpose but he could have avoided me 100 per cent. Oliveira also revealed that Mings has since apologised for the incident, but claims he could have come off a lot worse. “He texted me to apologise. At the time I hadn’t seen the video. It’s unlikely that Oliveira is going to be involved for the Royals this weekend when they take on Sheffield Wednesday at Hillsborough, but he could be in line to feature in the near future, providing he gets a protective face mask fitted. It’s a joke that this incident hasn’t been reviewed by the FA. There is clear intent by Mings, and he makes no attempt whatsoever to avoid Oliveira, and could have caused him serious injury and longer-term problems. What message is this sending out to the younger generation if you can get away with this?